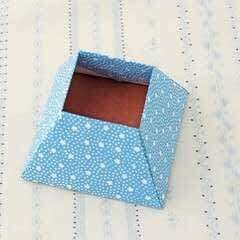 With this origami folding book, learn how to create original gift boxes that are as beautiful as the treasures they hold! 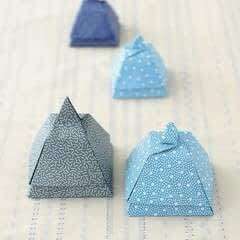 Considered the most famous living origami master, Tomoko Fuse is known for her expertise in modular origami and box-folding. 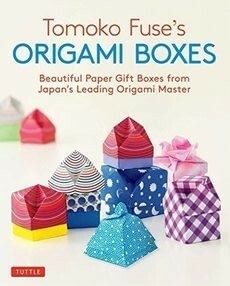 The more than 30 origami projects in this book range from beginner to more advanced, and ensure you'll always have a special way to give a gift. 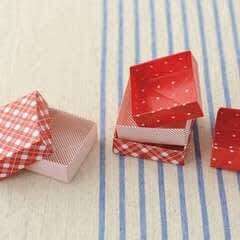 The simple flat box, or tato, is an excellent introduction to the art of origami for beginners and allows readers to "start small," then build to more intricate pieces like the Hexagonal Box and Octagonal Flower Box (Mukuge).Handmade paper boxes are an expression of origami crafts at their very best. Experiment with different thicknesses, textures, and origami paper designs for a true one-of-a-kind presentation. The projects are divided into 3 sections: Simple Boxes from Square Sheets, Modular Boxes from Multiple Square Sheets and Modular Boxes from Rectangular Sheets.Step-by-step instructions and diagrams guide you from start to finish as you create: Simple flat boxes—rectangular, triangular, hexagonal and more Pyramid-shaped boxes and different ways of finishing them off Modular box tops that look amazing Window-topped boxes for nesting a special gift Box tops with flourishes from flat to spiraled Easy liners for boxes of all shapes and sizes And a lot more Origami box folding is a relaxing and satisfying craft for all levels of expertise and—with a little practice and this easy origami book—gift-giving will never be the same.